Fresh whole tuna loin is one of the most high value products in the Europe market. Two top tuna species that mostly imported to the Europe countries are albacore and yellowfin tuna, while the top three markets countries are Italy, Spain, and France. There are growth tuna market as well such as United Kingdom, Belgium, and Portugal because sushi restaurant and business become more and more popular there and in several parts of Europe. - Yellowfin tuna fish: This is one of the most popular species of tuna that sold widely in many countries including Europe. Yellowfin also known as ‘ahi’ with yellow fins appearance. 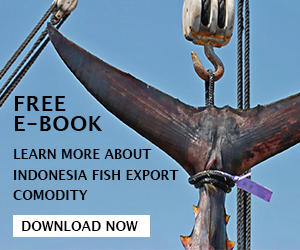 This kind of species can be purchased in a form of a whole tuna loin, tuna steak, tuna saku, tuna fillets, and canned tuna. - Albacore tuna fish: Just like yellowfin, the albacore is also the most popular species of tuna that sold in Europe. The albacore has pale flesh which sold mainly as a whole or in cans. They also sold in frozen and fresh condition. 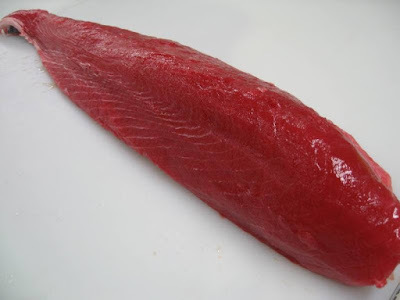 - Bigeye tuna fish: This one type of tuna fish is also known as ‘ahi’. 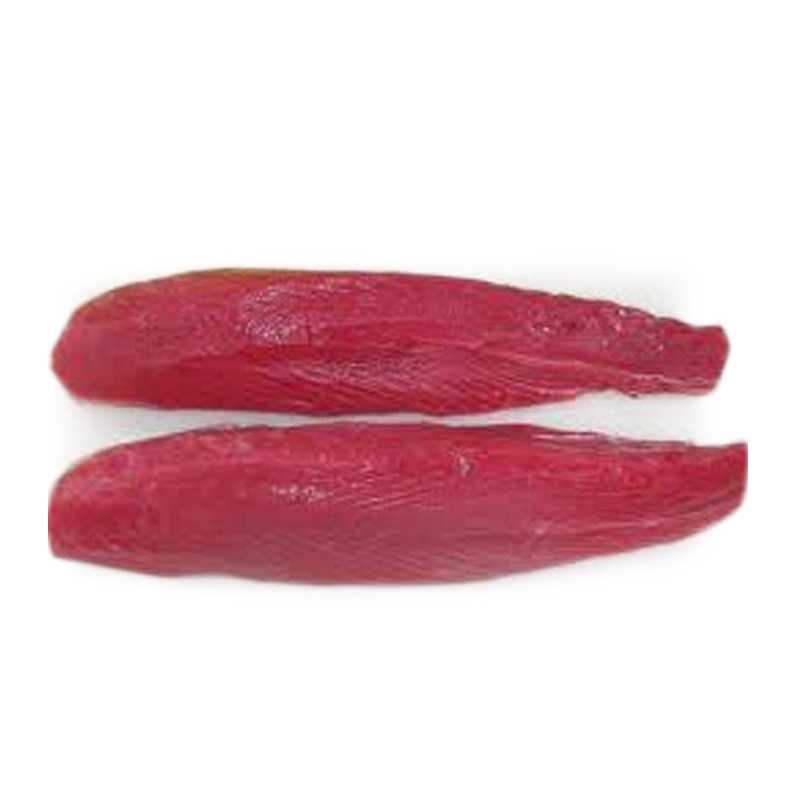 Bigeye often sold as tuna steak and mostly used in sushi dishes. - Bluefin tuna fish: It is the biggest tuna fish and often used as sushi too. - Skipjack tuna fish: On the contrary, skipjack is the smallest tuna species since when it caught, they are mostly found in relatively small size. 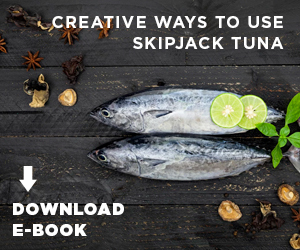 That’s why skipjack is used to be sold in a form of tuna cans. In terms of quality, there are many terms are used to determine the quality of tuna loin and these criteria will also affect the prices. 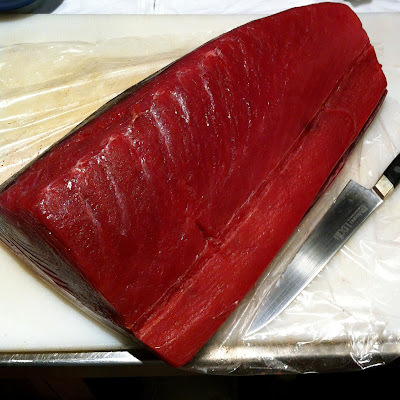 Usually whole tuna loin is graded based on their size, freshness, shape, fat content, texture, and the color. For seller it is best if they ask what is the buyers preference when they are looking for a tuna loin since different buyers will have different requirements. And as buyers, if you need tuna loin then it is best to let the suppliers know what your preferences as well because you may need to use the tuna for different intentions. Discuss with the sellers and tell them your specific specifications of the tuna loin. You can also ask for the grades, whether you want to buy the highest AAA grade or the lowest A grade. If you want to get the highest grade of tuna loin then you may need to spend much more than the A tuna grade. Sellers also need to discuss the specification they willing to sell or available with the buyers. It can help to strengthen the relationship of seller and the customers. If you did not know the criteria or how to check the quality of the whole tuna loin suppliers product then you need to find out first so when you make some discussion with the tuna suppliers, you can understand more and get the best product according to your preference. 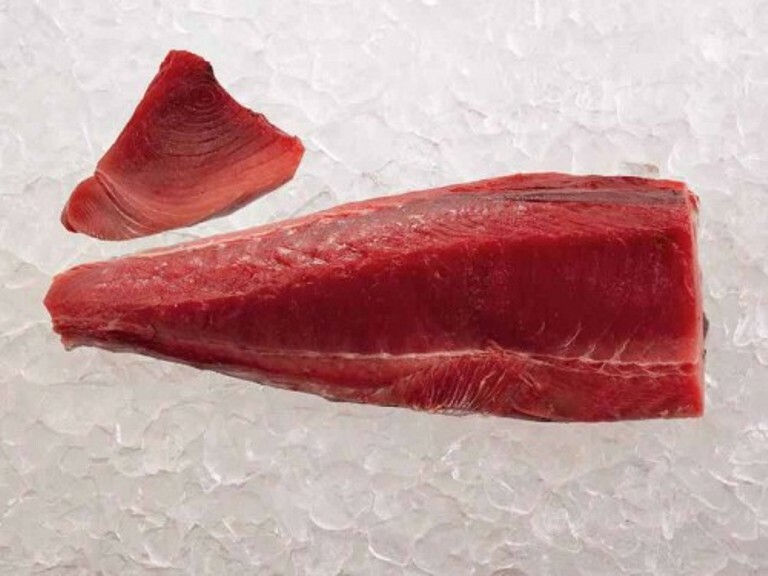 Most of the whole tuna loin export products are sold in frozen state and then vacuum packaging to prevent spoilage. It is important that the suppliers store the tuna loin in special store with specific temperature to avoid the tuna loin being rotten in a long journey before arrive in its destination. - Beside tuna loin, other tuna product that sold mostly is tuna steak. The tuna steaks are usually processed and the pre-packaged in Europe according to retailer the specifications. - For retail packaging, they are mostly placed in trays with some plastic filter and the portion is varied between 100 grams to 500 grams and such. The labeling of whole tuna loin in Europe is need to present specific information including the species of the tuna fish and it also need to provide important information like production of the products, harvesting, the use of fishing gear, and many more. - The tuna fish are caught with minimal impact of environment methods. - The tuna fish are caught with minimal impact of other species methods like the turtles. - The tuna fish is in healthy and robust stocks. Those are some sustainability trends in Europe countries regarding whole tuna loin exports imports that tuna suppliers really need to understand so their products can pass the qualifications and get permission to sell tuna loin and other tuna products in many Europe countries. In fact, other countries beside Europe are starting to have similar trends. The demand for super frozen tuna fish product is increasing in Europe countries. It means the tuna is frozen in minus 60 degrees Celsius right after being caught. This is need to be conducted in order to maintain the quality and the freshness of the tuna fish before being processed and cut in loins, steaks, and other tuna products. You can discuss with the whole tuna loin suppliers whether they can store the tuna with super frozen condition or whether it will be advantage for you to have such requirement. Hope this information helps you to understand more about the export import market in Europe countries.